Proposed TLC regulations of Uber and Lyft: Why the tech industry freaked out. New York City Wanted to Approve Tons of Changes to Uber’s App. All of Tech Freaked Out. It’s not rare to see Uber’s New York drivers protesting Uber, so it was notable when they showed up at a public hearing in the Financial District last week to vocally defend it. So, too, did the city’s broader tech community. Why the hubbub? For drivers, at issue was a new set of rules proposed by the city’s Taxi and Limousine Commission that would make it much tougher for them to cancel rides and that would allow them to use only one smartphone at a time to find ride-hailing fares. New York’s start-up set, meanwhile, objected to one provision within those rules that would have required Uber to seek approval from the TLC before rolling out most modifications to its app, and another that would have charged an additional $1,000 fee to any new ride-hailing app in the city. Those may sound like narrow regulatory changes within New York’s heavily scrutinized transportation sector. But for the city’s tech leaders, they aroused a much deeper fear: that the TLC’s desire to approve changes to Uber’s software would open the door for more city agencies to demand regulatory approval of their technology. And even more worrying, that the proposals were bad omens for a scene that has become used to the Bill DeBlasio administration’s pro-tech bent. Since taking office, DeBlasio has worked hard to boost New York’s reputation as a tech-friendly city. He’s promised to deliver universal broadband, convert 10,000 of the city’s payphones into Internet hotspots, and build out the tech workforce through a $10 million “tech talent pipeline.” Last fall, he appointed New York City’s first chief technology officer. Against that backdrop, the mayorally appointed TLC’s proposed rules weren’t just dismaying—they seemed to mark a sharp reversal of policy. 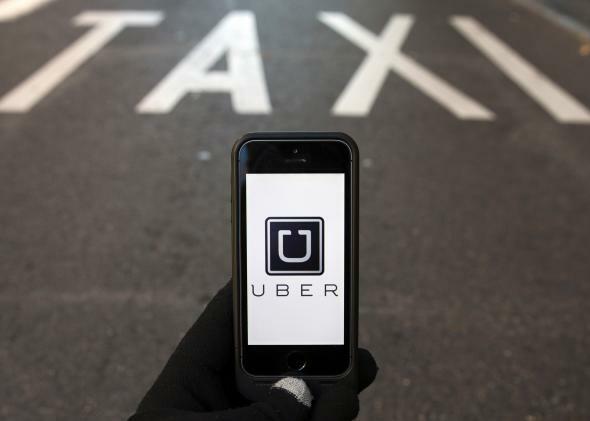 Will that conversation mend things between the TLC and Uber and its peers in the long run? That’s harder to say. Uber sat down with City Hall officials to discuss the TLC’s proposed rules for the first time on Monday. That might suggest that, going forward, the DeBlasio administration will keep a closer watch on how the TLC approaches regulating ride-hailing companies. But reducing the friction may not be so easy. While Uber’s frequent sparring matches with New York’s taxi regulators aren’t shocking given that industry’s historically heavy regulation, last week’s blowup involved unusually persnickety, out-of-touch rules that seemed to set a worrying precedent for a larger class of companies operating in a city that says it wants to accommodate them. The rule against drivers canceling rides, for example, was proposed in hopes of preventing drivers from discriminating against passengers. But the suggestion misses the point that Uber drivers—who accept rides only knowing a rider’s first name, starting location, and rating—are much less likely to be able to discriminate than traditional cabs, which pick up street hails. Uber also touts a significantly higher rate of pickups in New York’s outer boroughs than taxis—26.3 percent as opposed to 6.3 percent, according to the company’s data. And not shockingly, Uber has been irked by the TLC’s insistence on collecting all its electronic trip data. The fear, in each case, is that the TLC is probably trying to regulate something it ultimately doesn’t understand or have the capacity to regulate—a perception that could help Uber make its case in the future if it continues to galvanize local techies. And whether you feel that Uber should receive tighter scrutiny or not, you would probably agree that demanding final approval on app updates came off as a regulation gone too far. *Correction, June 2, 2015: The headline of this post originally misstated that the TLC wanted to approve every change to Uber’s app. It has been updated.